There is finally a sun in Bali. I've been sitting my days at the office, grumpy and mellowed by the gray weather. I've been around the internet today (yes, during office hours. You got me busted!) 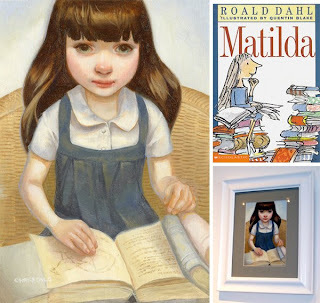 and found this post in notcot.com about illustration made by artists, inspired by children book covers. Children books and illustration is inseparable. It is part of the magic. As you can see I took the liberty of showcasing few illustration in this blog. For complete report and drawings click here. I really adore this picture of Matilda I made it my profile picture in goodreads. 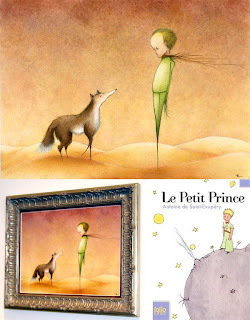 And of course you just can't miss the all time favorite, Le Petit Prince. I wish I can own them all!